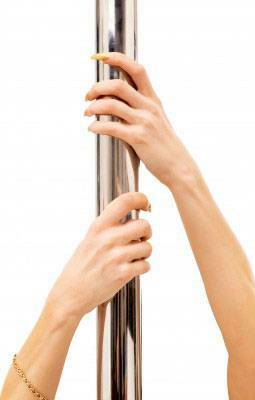 Pole Dancing Lessons Bristol, Hen Parties Bristol, Pole Dancing Bristol, Pole Play. Welcome to Pole Play, one of the longest running pole dancing schools in the UK! We are putting the fun back into fitness with our pole dancing, burlesque and chair classes which cater for anyone with the enthusiasm and open mind to join these unique dance classes! Pole play have been running dance classes and competitions nationwide for over 8 years! And have a mission to make sure that all our events are fun, exciting and safe! Pole dance is a fun and exciting form of exercise which uses every muscle group during a work-out. It increases strength, flexibility, muscle tone and overall fitness whilst the dance aspect improves self confidence and poise. So impress your friends! Improve your fitness! And most of all have some fun! The art of burlesque is a sensual form of dance that teaches you about how to move and think with elegance and poise! Women all over the country are discovering the inner goddess they never knew existed. Not just for impressing your partner, burlesque will help you with confidence and attitude in everything from social situations to the work place! At Pole play we focus on fitness but if you want a party which is all about fun then Chair is for you! Our experienced instructors will teach you beautiful and exciting routines that will leave your friends breathless. You will never see a chair the same way again! So courses, classes or parties? And which is for you? Courses – If you want to try one of our fantstic dance forms but aren't sure which or would like to experience a range of styles in one afternoon, then an afternoon course could be for you! We run a half day or full day course where you can try a little bit of everything with other people all at your level, because everyone has to start somewhere. Classes – If you already know which style is for you and are more serious about developing your form, fitness and technique then our weekly classes could be right up your alley! Our instructors have all learnt to the same curriculum which has been developed by industry professionals, pysiotherapists and sports specialists to ensure that what we teach is fun, enjoyable and most of all safe. Parties – Our range of Silver, Gold and diamond packages are great fun and value for money. If you have a birthday, hen do or office party and want something different that's new and exciting with an emphasis on fun more than fitness then this could be for you!